Movies are the best, you guys. Sunday was the strongest set of films we’ve seen at the festival so far, and the two we caught, documentary Accidental Courtesy: Daryl Davis, Race & America and Mike Birbiglia’s feature Don’t Think Twice, provided excellent tonal and thematic variety. After seeing a handful of okay-but-not-life-changing documentaries, I went into Accidental Courtesy with an intense interest in the subject matter but still anticipating a film that struggled from the same common documentary filmmaking issues that have cropped up in others at the festival. However, those worries proved to be unfounded, as the team behind Accidental Courtesy delivered one of the best and most memorable documentaries I’ve ever seen. 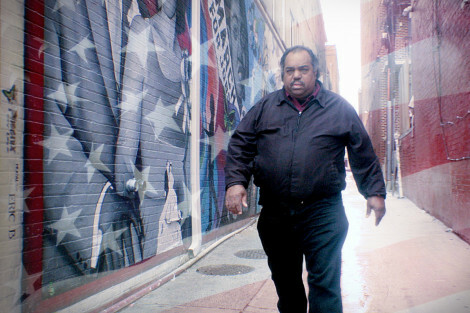 The film examines the life of Daryl Davis, a talented blues pianist who has played with Chuck Berry and Jerry Lee Lewis and who has spent the past several decades reaching out to members of the Ku Klux Klan in an attempt to understand their twisted perspectives and educate them, essentially befriending those who have chosen to hate him simply for being a black man and often convincing them to leave the hate group altogether. Davis tells stories about lending his bus to Klansmen, about driving a member of the Klan to see her father in prison, about inviting dozens of Klansmen over to his house after a rally. The filmmakers carefully capture the complexity of Davis’s mission in the many ironic moments highlighting the paradoxes and unfounded logic that make up the deeply flawed worldview of the KKK, often with Klansmen expressing that classic racist perspective of “well…we like this one…” Sure, they’re confident that black race is inferior and oppressing their white brethren, but Daryl Davis is their friend. This hypocrisy has led many of Davis’s new friends to reevaluate their prejudice and renounce the group, donating their KKK robes and hoods to Davis’ collection, which he hopes to one day turn into a museum. The story of Daryl Davis is undeniably engaging. He’s written books on his experience and been interviewed and profiled numerous times–often by predominantly white media outlets and for a predominantly white audience–since the mid-1980s. What Accidental Courtesy does to turn this story into a really standout documentary is tease out the details and challenge the easy narrative, examining the bigger story of race in America and addressing many of the questions that, especially in 2016, can be raised about Davis’s mission. Davis is passionate and knowledgeable about black culture and black history, and he’s a great teacher and a warm, confident personality. He is used to his role as an educator and representative of the black community. But a black man choosing to spend so much of his life eating dinner and cracking jokes with members of the Ku Klux Klan is a complicated premise to unpack when looked at in the context of systemic racism and police brutality. In the most engrossing part of the film, Davis visits Baltimore to speak to activists in the Black Lives Matter movement and the interaction is hostile. Davis’s approach is wildly different from that of the young activists and they challenge its value: in twenty-five years he’s convinced twenty-something white people to be less hateful, while every day they are seeing young black men and women not only being denied the societal opportunities of their white counterparts but being killed in the streets by the representatives of a racist police force and more broadly a systemically racist nation. Davis responds with condescension and the exchange is charged. The second film we saw was Don’t Think Twice, Mike Birbiglia’s story of an improv troupe managing its changing dynamics, and while it could not be a more different subject matter or tone, this was also a movie that handled a strong emotional core with care and conviction. BIrbiglia is such a talented writer, capable of telling people’s stories and communicating universal insecurities with ease, and what makes his work so strong and memorable is the way that it never cheaps out. 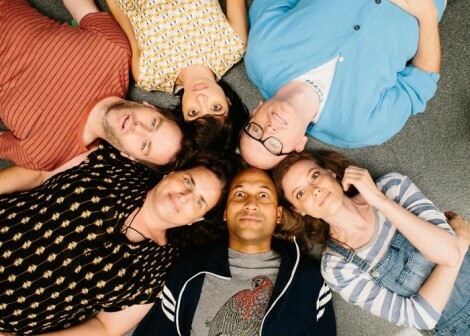 Don’t Think Twice tells the story of its central group of friends, members of an improv troupe called The Commune who are now in their mid-thirties and have known each other since the bright, shiny optimism of their early twenties. The film dives right into their world, just allowing audiences to observe these people as they slide from hilarity and bawdy jokes to sensitivity and ruminations on their value as artists and people. The film remains true to its characters and their motivations, allowing them to stretch out and fully express themselves, to contradict one another and inhabit spaces beyond traditional stereotypes and familiar tropes. This is most apparent in the character of Gillian Jacobs’ Sam. Jacobs totally kills it in this role; she really owns the film. In an unbelievably strong ensemble, she’s the emotional core, bringing me to tears in the final improv scene of the film where she uses the medium to communicate everything she’s sometimes unable to say in daily life. Frankly though, the entire cast is magic. The members of the troupe are played by Birbiglia, Jacobs, Keegan-Michael Key, Kate Micucci, Tami Sagher, and Chris Gethard and there isn’t even a remotely weak link there. Each character is fully formed, each actor managing to connect with one another and the audience. Don’t Think Twice is a movie about comedians, so it’s obviously funny, but in a very naturalistic way. When someone makes a great joke, you’re cracking up along with the other characters. The film is also full of heart (as is everything Birbiglia does) and has its share of pathos. Don’t Think Twice is my favorite kind of film: the kind where things are definitely happening, but mostly these characters are just living their lives and you want to stay with them as they do. I would watch these characters just doin’ stuff and sayin’ stuff for another five hours. Birbiglia smartly doesn’t indulge that, though, and the script and final edit of the film are impressively efficient, even while giving appropriate space and time for emotional developments to play out to the right effect. Kayleigh Hughes is an editor, freelance writer, and overthinker. In addition to contributing to Loser City, Kayleigh has written for Pitchfork, Ovrld and xoJane. 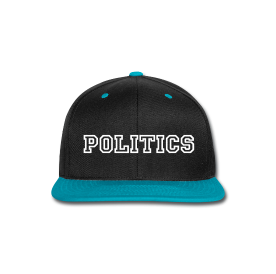 Talk to her about literally anything–she doesn’t have that many friends–on twitter or via email.